Welcome to the Governors Page of Brierley Hill Primary School (BHPS). By way of introduction My name is Graham Moffitt and I consider myself very fortunate to be able call myself the Chair of Governors for BHPS, a post I have held since the Summer term of 2014. Originally from Birmingham, I moved over to my adoptive Black Country in 1992. In 2013 I retired from the West Midlands Police as a Detective Sergeant having served 30 years as a Police Officer. During my service I spent 5 years working locally in Halesowen, Kingswinford, Lye and Stourbridge as a response Sergeant which brings me a good understanding of local issues. I too am a parent. I have 2 sons one of whom is on the Autistic spectrum, having been diagnosed with Aspergers. As a consequence I have a good understanding of Special Educational Needs (SEN) and the impact this can have on home life as well as educationally. My role as a Governor is to act as a "Critical Friend" to the school. To challenge the Senior Leadership Team around the Quality of teaching and the progress of the children. To ensure that we strive to close the gap between disadvantaged and other children, whilst ensuring that the more able children are stretched. It is also my role to make sure that at the heart of teaching are the British Values of Democracy, the Rule of Law, Individual liberty and mutual respect and tolerance of those of different faiths and beliefs. Ensure the clarity of vision, ethos and strategic direction of the school. Hold the Headteacher to account for the educational performance of the school and its' pupils. Oversee the financial performance of the school and make sure its' money is well spent. The schools greatest asset is it's children who welcome all visitors with a huge smile. Each and every child is a fantastic ambassador for the school. On walking into the old Victorian building in the heart of Brierley Hill you instantly get a positive vibe. Teresa ALLPORT, the Head Teacher together with her Senior Leadership Team (SLT) of Lee-Anne KNOWLES (Assistant Headteacher) and Samantha BRIDGEWOOD (Assistant Headteacher) and Deborah JOHNSON (Key Stage 2 Leader) have provided a learning environment which is a place where the children love to come. The SLT know every single child in the school by name and you only have to see the way that the children run towards Mrs Allport, their arms stretched as wide open as possible to greet her with a smile and a big hug as she walks around the school. Here at BHPS, not only do the teaching staff, strive to provide quality teaching, they go that extra mile to provide a safe environment for the children and make the learning experience enjoyable. The school has a number of challenges with double the national average of children eligible for Free School Meals (FSM) and twice the national average of children with SEN. The school uses its Pupil Premium Grant wisely, investing in extra Teaching Staff to enable smaller cohorts. Additional Teaching Assistants to support Early Years and Key Stage 1 with phonics, one to one and small group interventions. The provision of a full time Learning Mentor to support those with SEN and their families. The school also believes that being healthy is a big part of school life and as such promotes healthy eating and an active lifestyle. The school encourages all pupils to take part in sports activities and in addition to PE lessons the school provides swimming lessons and runs a number of after school sport clubs including gymnastics, cheer leading, football and netball. Breakfast Club also provides a get moving programme. I feel very privileged to be part of the Brierley Hill Primary School family and hope that by working closely with all the staff in school, pupils and parents that we can provide each and every pupil who walks through the door the necessary skills to achieve their full potential. Brierley Hill Primary School Reconstituted Governing Body, their designation, committee membership and year group. Welcome to the Governors' section. A big congratulations to all the winners and runners up in the Easter Bonnet Parade and the decorated Egg Competition. The judges Mr. & Mrs. Sanders were very impressed with the quality of the entries and picking winners was a very difficult task. I would like to take this opportunity to wish you all a Happy Easter and I hope you all have a great few weeks of unwinding and relaxing and I look forward to seeing you all next term. Today was Real Life Maths Day where the whole of the school spent all day doing math related lessons to expose the children to how important maths is in every day life. Pupils were involved in cooking where they had to measure and weigh ingredients and then divided the food. We had children making Wooded Bird Boxes where they worked out how much materials they would use, then measured our the wood and cut it to size, following the plans and nailed all the parts together. For many children it was the first time they had used a saw or hammer and nails. Definitely my favourite activity of the day. Other children were given a budget for planning holidays. We had classes designing bedrooms, working to scale to calculate how many rolls of wallpaper would be required. Classes were designing wall paper using repeat patterns, measuring walls around the school and working out areas. Other classes were designing tiles using Symmetry, counting how many tiles they would need. There was Welly Wanging where each child threw a three times, each time measuring the distances so they could work out means and averages. Other groups were making packed lunches with a budget of £1.00, having to work out what items they could buy, multi buy savings. At the end of the day myself, Mr. Sanders and Mrs. Bates led the assembly where spokespersons for each year group came up and told the rest of the school what they had done and what maths they had used. The day was a huge success and we look forward to running one every term. The children were very enthusiastic and loved all of the tasks they were involved in. It was also a great way for the governors to visit all year groups and be a visible presence in the school. A big thank you to all of the parents who came along to parents evening. The teachers love to be able to tell you of all of your children's successes and the progress they are making. Great to see that lots of children are making great progress with many working at greater depth. Lovely to hear teachers passing comment on the positive remarks parents are making about the school and how much their children enjoy coming to school. Useful morning working with the Learning Mentor, Mrs. Barnes and the schools Attendance Monitor. Together with fellow governors Mr. Sanders, Mrs. Bate and Miss Donnelly we sat in on the Attendance Clinic to discuss attendance and lateness issues with parents to see how we as governors could help and to see what assistance the school can provide to improve attendance. It was refreshing to see that many of the parents are fully supportive of the initiatives we are trying at the school and in seeing the importance of the children being at school so they can learn. We look forward to working with both the parents and the Attendance team to improve attendance figures at the school. I would like to congratulate both Miss Faux and Mrs. Johnson who were both today successful at interview for the posts of Assistant Head Teacher. Both had excellent interviews where the evidenced a passion for teaching and desire to help every child at Brierley Hill succeed. I am looking forward to working with them in their new roles with the SLT here at Brierley Hill as we go from strength to strength. i would also like to congratulate Miss Bridgewood who was successful in her interview for the post of deputy head. Miss Bridgewood gave a fantastic presentation and here passion for teaching and her love of the children shone through. I am very excited about working with such a talented and enthusiastic Senior Leadership team who at the core of their ethos is every child matters. I have witnessed our new SLT work tirelessly to improve the quality of teaching, to provide new experiences and opportunities for the children to learn in fun and exciting ways. As a team they have championed safeguarding to ensure our most vulnerable children are put first when we plan for the school and not an after thought. They have created an environment here at Brierley Hill that the children love and are proud of. Busy couple of days this week. Yesterday I sat in on some of the cohort reviews. Always impressed with how well the teachers know their children and seeing the SLT challenging about the progress the children are making and what the teachers are doing to support those who are struggling and helping others to achieve working at greater depth. Today we had another working party meeting around Absence which is being led by the Vice Chair Roy Sanders. Lots of good suggestions that we will be putting forward to Mrs. Allport to consider. We also had a 2nd working party looking at Everyday maths. Looking at having all school maths day using everyday situations where maths impacts and looking at fun ideas to engage the children. This working group is being led by Julie Bate and Jayne Donnelly. Lots of ideas that we are looking forward to discussing with the SLT and maths co-ordinators. A busy morning with Mrs. Allport completing the Child Protection report ahead of the next full Governor Board Meeting (GBM) and starting looking at the 175 Audit Plan. The next GBM will be held at the school on Tuesday 5th February 2019. If anyone has any issues or concerns they wish to be discussed please contact me. I also meet four of the schools year 6 Anti-Bullying Ambassadors, who told me all about VIP and a quick chat about the Walk Once a Week (WOW) initiative that the school has adopted under it health and wellbeing banner. I hope to see lots of children and parents getting involved with WOW. Firstly I would like to welcome all back to a new term here at Brierley Hill. I hope that everyone had a fantastic Christmas and New Year with lots of family time as well as getting some rest and relaxation. Well last term saw not only just Santa visiting the school but also a visit from this little chap. I'm not sure whos visit the children enjoyed most. The Govenors have now had several meetings of the Attendance Working Group, looking at how we can improve attendance levels at the school. This is work in progress. Current data supports that the attendance levels are better than in previous terms. We are now looking at setting up a second working group looking at Mathematics and how we can improve on every day maths within the school. Finishing on some more good news, today the school has received notification that we are once again in the top five schools in the Dudley area for SATs. We are awaiting confirmation that we are 3rd in the table. This is a fantastic result and one that should be celebrated. I would like to thank all of the teaching staff and SLT who have made this possible through hard work, dedication and professionalism which is evidenced in abundance. I would like to wish all at Brierley Hill Primary School a very Merry Christmas and a Happy New Year. I hope you all have a joyous and peaceful time and wish all a prosperous New Year. We have had lots of festive goings on at school with a Breakfast with Santa last Saturday. The children had a lovely time and Santa wants to say a big thank you to all his little helpers who made it such a magical time for all who attended. Today 17/12/18 saw all the children arrive at school in their Pyamas ready for the Polar Express day. Once again Santa popped into school to visit all of the classes with presents for every child. Santa commented on how festive the school looked and how polite and well manored all of the children were. Tomorrow sees another visit to the School by Santa in his sleigh this time, thanks to Kinver Rotary Club for arranging this. Friday 21/12/18 there will be a Christmas Carol service in the playground with hot drinks and mince pies while the school choir sing Carols and I'm told their is to be a very special choir performing a Christmas favourite during the service. One not to be missed! A big thank you to all of the parents who were able to attend Parents evening today. Was great seeing all the parents looking very proud after there visits to see their children's teachers in the Hall. I think the new process was a huge success and worked very well. Very productive meeting today with the SLT, Governors and Our SIA Alison Sturgess. New objectives set for Mrs. Allport and a quick health check of the schools data and progress, which proved very pleasing. I would like to congratulate our SLT who have worked very hard to get the school to where we are and who continue to seek ongoing continuous improvement. The Governors will be identifying some new working groups, the first of which will be looking at Absence and how we can improve the schools attendance levels. I'm not one for meetings but found today's committee meetings very positive. It was so nice to listen to the updates from the EYFS, English and Maths leads talk so passionately and confidently about the specific areas around the work they are doing and the goals they have set. Hearing about learning strategies, working at greater depth, work around moderation and secure and accurate assessments. It was lovely to hear about the introduction of Talking Time in EYFS where teachers are actively talking with and listening to the children and seeing the children feeling appreciated and learning how to share and play together. A big thank you to parents who are contributing to the play fund and a reminder to those who may not be aware, it's£2.00 a week which helps facilitate the children with activities such as cooking. During today's meeting we also had a learning walk around EYFS to see all the hard work done over the Summer holidays around the building and outdoor area. During the visit it was so rewarding when one of the children walked over to us and said, "I like it here." You can't get a better recommendation than that. During the walk it was lovely to see so many of the boys making use of the Story Hut, with a group of boys sitting and reading. Another inspirational week here at Brierley Hill Primary School (BHPS). It's always impresses me when I see staff going that extra mile especially in their pastoral care. It came to my attention earlier this week, that several of the teaching staff have, at their own cost, purchased items to enable pupils who need extra stimulation to help them concentrate in class. It's always nice to see the staff exchanging ideas on how they can make the classroom experience better, especially for pupils with SEN and the enthusiasim in delivering it. A central plank of the school ethos is providing the children with new and exciting experiences. This week proved no exception with several external visits including a visit Hatton Country park where the children got to see and pet lots of diffent animals. I hear that Year six have had just the best time ever at Sherwood Forest, where among other things they met Robin Hood and Little John who told them tales of the forest and how they need to take care of the environment and keep the spirit of Robin Hood alive. This was followed by a spot of orienteering with one of the forest rangers. This trip provides a great opportunity for the children to learn new skills and develop British values especially around respect and tolerance of others. Having been on several of the trips to Sherwood Forest I know how well this help with the year 6 literacy curriculum which is Robin Hood based. I look forward to seeing some fab writing in the coming months. Always nice to get positive feedback after our school trips about how polite and well behaved our children are and how smart they look in their uniforms. I would like to welcome back all our children, parents and staff to another new year here at Brierley Hill Primary School and wish a warm welcome to all new children and parents. The summer holiday has been very busy here at the school with lots of refurbishment going on. I'm sure everyone will agree that the school is looking brilliant, especially the new Year 1 outdoor area over in Early Years. I would like to thank Mr. Yardley and Mr. Gunn who along with Mrs. Allport who have put a lot of hard work and effort in to getting the school ready following the recent rewiring and considerable damage caused during the theft of lead from the schools roves. On that note if anyone has information on those responsible can they please contact us or the police. Sadly I'm not able to attend the year 6 residential trip to Sherwood Forest this year but I know that all going will have a fantastic time meeting Robin Hood and his band of Merry Men and Women. Enjoy and have lots of fun. I look forward to another school year and building on the succes of last year. lovely learning walk today around early years playing in the sand pit with Zak, Olivia and Claire and drawing apples with reception. The behaviour of the children was exemplary, all were engaged and working well. Nice to see Year 4 learning about Pantomime.... Oh yes they were! lovely to see lots of parents joining us for the Praise Assembly today with lots of children receiving a Head Teacher Pack in recognition of good work and behaviour. Well done to all who received praise. 6th – Today spent the morning with Year 4 and heard about Hamid and the sugar cane juice, an interesting morning with maths covering quadrilaterals/angles/rhombus and the difference between scalene and other angles. 13th – Rotary in Britain and Ireland organise Kids Out day in June each year when about 25,000 children visit theme parks, parks, zoos etc and in our area takes over Drayton Manor for the day and children and teachers enjoy free use of all of the attractions. I think that in some cases the teachers enjoy themselves as much as the children. I am not suggesting the Mrs Johnson did anything of the sort however Year 6 did have a quiet word with me. 18th – This is a good time of year to be in Year 6 as today was spent with Year 6 from Brindley Heath in Kinver at the Red House Glass Cone in Wordsley. This is a day organised by the Rotary Club of Kinver to encourage links between two schools from different areas and local authorities and provide the children with a day of friendship, education, enjoyment and fun. The programme included designing glass bunting, glass painting, glass fusing, a glass blowing demonstration and a guided tour of the RHGC. I have received very favourable reports from both schools and a report from the RHGC on the exemplary behaviour of the children. Well done. 15th – A morning in Reception, such a happy atmosphere with all involved and it is obvious that the children love the staff and vice-versa. I was impressed to hear every child responding politely to Miss Faux on the question of breakfast and teeth cleaning. Happy to be involved in listening to sounds, spelling and drawing a map of London Underground, probably best to keep with the actual map! 17th – With Nursery for this morning, discovering that Mrs Harte has been at the school for some time! She and the other staff are so committed to the children who respond positively and with good manners. I joined in with play areas, outside play time and phonics which involved the letter R, r and pictures of a Robot and Rabbit were Ok but ‘Rink’ seemed a little far-fetched for nursery. 18th – Spent most of the day with Liz Garner and Year 5 covering timelines, Guided Reading and identifying adjectives. A most enjoyable day in a well behaved group, a real pleasure and I’m sure that they will be ready to tackle Year 6 next September. On the same day I had my introduction to School Council and was very impressed with each year’s involvement and the thoughts and ideas that they raised so confidently. This is a really worthwhile group and it is important that they meet regularly and are given the support to be vocal on behalf of their cohorts. Whenever possible I work with a group for Big Maths and try to develop this into a worthwhile exercise to improve reasoning and Maths capabilities. With thanks to Teresa I am now hoping to become more involved with the Senior Leadership Team meetings and initial signs are that this is a most important forum for information and the well-being of the school. 29th - Easter Bonnet parade and Egg displays. A lot of excitement in the playground and the hall as parents and staff were treated to a fantastic display of Easter Bonnets and Eggs, amazing that some had made it to school in one piece. Julie Bate and my wife were the judges, a responsibility that no one else cared to take on, and they diligently viewed all of the exceptional entries before allocating prizes: in reality all entries deserved a mention for the work involved. Really pleased to be helping a group from Year 4 with BIG MATHS, I now feel even more involved and hope to develop my time in helping to make a difference which is why I am here and what I enjoy most. I enjoyed a day with Year 4 studying 1. The development of topics using the Bogies and Trolls families. 2. Inverse maths 3. Guided reading. For me one cannot read too much, it develops so many aspects of English. Today I visited the Nursery and spent a happy hour exploring the various areas; sand, kitchen, dressing up etc., whilst the staff assembled and decorated the Christmas tree and constructed Santa’s Grotto. I was then arrested by three policemen who agreed to release me if I promised to return at a later date, which I certainly will. All of the children were really lovely and so happy. I then moved to Year 6 who coincidentally were discussing the Rotary writing competition, and as a member of Kinver Rotary who organise the competition at Brierley Hill Primary I was intrigued to see how they approached the task. This year’s title was ‘From a different perspective’ and it was so good to see the development of the children’s various ideas. As one of Santa’s helpers I was so pleased that Kinver Rotary was able to bring Santa on his Sleigh to see all of the children, from Nursery right through to Year 6. This is by far my favourite event within Rotary and the look on children’s and adult’s faces make all our efforts so worthwhile. Santa was kept busy handing out lollipops, and it was great to see the looks of awe and wonder on the younger faces slowly change to rather more considered looks by the time Year 6 met him. A morning spent with Year 4 when they were learning to build a poem, followed by maths reasoning. This afternoon the lady from the NSPCC came to talk to KS1 on E-Safety, concentrating on ‘Speaking Out’ if worried by anything at all, with a video to highlight various situations. This was followed by a talk and video with more specific situations given to KS2 pupils. Extremely good presentation and aimed at just the right level for both sets. Whilst the internet has many positives it also poses some very real negative problems that we should all consider carefully. A brief visit to Miss Faux and Reception left me wondering where everyone found the energy for the lively activities that the children so obviously loved. I really enjoyed the time here seeing everyone perform with infectious enthusiasm. Spent time with Year 4 on two days this month and having been with them since they were Year 2 found that they were recovering from the various staff changes last year. I hope that they will all settle down to catch up with their learning. Im sure lots of staff, children and parents are now looking forward to the 25th July and the end of the school year. That said as always it's a busy time here at Brierley Hill Primary School with end of year productions and transition periods. Good luck to Key Stage 2 especially year 6 for their production of SuperStan this afternoon. Having watched the dress rehearsal on Monday afternoon I know everyone will enjoy it. There were some excellent performances, watch out for the Candy King, Mayor Doughnut, Curley & Wirrly, Major Disastor and his privates and of course Superstan (both of him). Lots of visits for the children with outings to the Rock Houses in Kinver, Drayton Manor and the Eco Centre. Sports day as always was great fun, the weather was on our side this year and a big thank you to St. Mary's for allowing us to use their facilities. Behind the scenes we governors have been busy with committee meetings, Full Governors meetings and visits into the school. As always on behaviour walks the children have been well behaved and in virtually all of the classes children appeared to be on task and working well. Children were polite and courteous in the corridors. A few reminders to parents. Can parents please ensure that on route to and from the school and whilst at the school gates that they conduct themselves in a civil manor, sadly there have been a couple of instances where parents have had to be spoken to about their behaviour and language with warning letters being sent out in a couple of cases. Inappropriate behaviour or language will not be tolerated and if necessary banning orders will be enforced under the education act. Once again parents are asked to be mindful of parking in and around the school. Parents are not authorised to park in the staff/visitors car park when dropping off or collecting children. Over the last few months we have received letters and phone calls of complaint re parents parking on the private roads of the flats adjacent to the school on the promenade. The school are working closely with the residents association and local council to resolve some of the issues. Can parents please ensure that you inform the school of any changes to contact details, especially mobile phone numbers. There have been a few incidents recently where the school have tried to contact parents during school hours and the numbers provided aren't current or messages left haven't been responded to. It is essential that the school can contact you in the case of an emergency. We have had a lot to celebrate over the last 12 months especially the SAT results which saw us in the top 5% nationally and joint top of the Dudley schools. Early indications are that once again this year our year 6 pupils have done extremely well in the SATs. I would like to thank all of those involved in achieving these results. We have also also seen some great results with our Key Stage 1 phonics. As always a big thank you to site manager and his team for keeping the school looking fab. Mr. Yardley, Mr. Gunn and Mrs. Allport will be busy over the summer holiday decorating several of the class rooms ready for the start of the Autumn term in September. Also during the summer holiday several trees will be removed. As a consequence of a recent tree survey, it is necessary to remove the trees as they have become issues of concern around safety. We are hoping that we will be able to extend the staff & visitor car park. I must say that I am not looking forward to the Leavers service as it is always sad to see the children go. Having been a governor here for nearly 6 years, I have seen the current year 6 cohort through most of their school life. With the staff here, I have seen them grow and become mature young people. I hope to see all of the year 6 pupils, their families and staff on 24th July at the Albion Road Church, a time to celebrate with the pupils and look forward to a new chapter in their lives. Always an emotional time so have the Kleenex at the ready, obviously other brands of tissues are available. And finally we are always on the look out for people to become Governors here at Brierley Hill. So if you're up for a challenge and have the necessary skill set or know someone who might be, please get in touch and come and have a chat and wander round our welcoming school. Good luck to all pupils taking part in SATs next week. This is your opportunity to showcase all of your learning over the last 12 months. Remember everything you have been taught and try not to get to stressed. Take deep breaths and keep reminding yourselves that you can do this. You have been given the tools to manage and cope with all that will be put in front of you. This is your time to shine and show everyone what you are capable of. Once again good luck to you all, make us all proud and shine like the stars we know you all are. Very sad to hear that Jo Hartil, the head teacher at Mount Pleasant lost her battle against cancer. Jo was an integral part of the Stour Valley Collabrative and will be sorely missed. Our condolences to all the staff, pupils and parents at Mount Pleasant on their recent loss. I would like to welcome everyone back for the start of the Summer term. 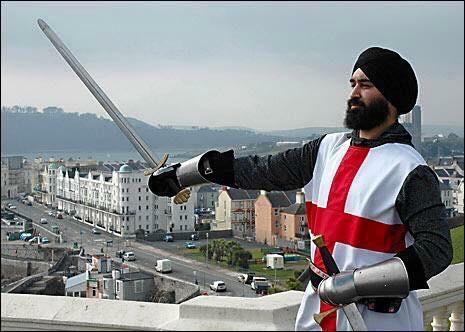 I hope you all enjoyed the Easter holidays and had a good St. George's day. Was lovely to join in the school assembly today. There were lots of certificates and badges awarded today. 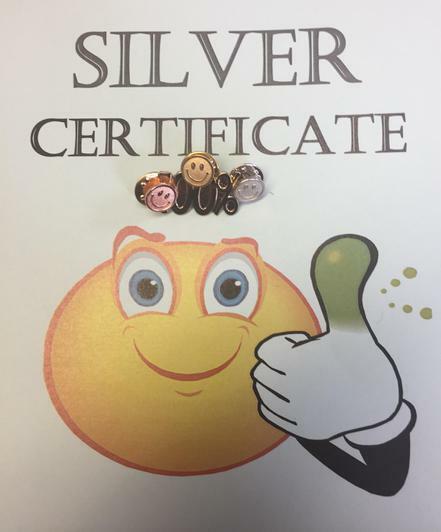 50 of the children received Silver smiley badges and certificates for achieving 200 smiley awards. 20 children received their silver 100 % attendance awards, all still on track for inclusion in the draw for a bicycle for 100 % attendance throughout the year. 34 children received there 100% bronze attendance badges and certificates for 100% attendance during the spring term. I look forward to seeing lots of smiley and 100% badges on school ties. Once again a big thank you to Mr. Yardley, Mr. Gunn and Mrs. Allport who came in during the Easter holiday to redecorate year 5s classroom. A nice learning and behaviour walk around the school with Mrs. Allport. All pupils appeared on task and any we bumped into around the school were very polite. The children were all well behaved during the school assembly. have been attending lots of training courses and popping in to school to see their respective school years group. I would like to take this opportunity to wish everyone a joyful and peaceful Easter. I look forward to seeing you all on return after the Easter holidays. Well we say goodbye to the Spring term. Lots of positive great things have happened this term. The school has received several letters complementing the behaviour of our children whilst out and about on school visits. We also received a letter from the Schools Minister The Right Honourable Nick GIBBS MP congratulating everyone on the excellent SAT results which saw us in the top 3% nationally. Once again a big big thank you to helping hands and our own Govenor Julie Bate for arranging the various Easter events including the Easter Bonnet parade and Easter Egg competition. As always some brilliant entries and a difficult job for the judges to choose the winners. Well done to all those who won prizes. Thanks to all involved with the Year 5 trip to the Space Centre, some fab photos of our Facebook page. All had a out of this world experience. Once again the school took part in Red Nose day. Thanks to Julie Bates for providing lots of Red Nose merchandise from the Amblecote Sainsbury store. World Book Day saw some fabulous and imaginative costumes. I'm even told the White Rabbit from Alice in Wonderland put in an appearance. A big thanks to Mr. Yardley and Mr. Gunn for all their hard work in and around the school making the school site a safer place and nicer environment for our children, staff and visitors to our school. Sad day today saying goodbye to one of our schools long serving Governors. Amerjot Birdi handed in her letter of resignation at the last full governors meeting. I would like to thank Amerjot for all of her support during her 20 plus years as a govenor. Amerjot has shown a great deal of dedication to the school over the years and where we are today is thanks to her continued commitment to the school. It was nice to be able to present Amerjot with some lovely gifts from local tradesmen including glass ornaments, jewellery and flowers as a small appreciation for everything she has done for our school. I would like to wish Amerjot good luck in the future with all of her new plans. Thank you Amerjot. We have had several letters of complaint from local residents complaining about parking around the school during drop off and collection times. I would ask all parents who use their cars not to obstruct driveways or park on the private roads for the flats. The school works hard to maintain a harmonious relationship with our neighbours. I would ask you to show some consideration when parking. Thanking you all for your understanding and support in this matter. Big thank you to Helping Hands for arranging last months trip to the Grand Theatre at Wolverhampton where the whole school enjoyed the panto... oh yes they did! More thanks to Helping hands and our own governor Julie Bate for arranging all the pancake day activities. Well done to all who took part. Keeping the best news till last, a HUGE congratulations to all involved here at Brierley Hill Primary school on the outstanding SATs results. We have managed to improve on last years very respectable 4th place in the result table to that of joint 1st. This is a fantastic result and has been achieved by a clear vision together with lots of hard work, effort and determination. The result also puts us in the top 5% nationally. Just had a call from Mrs Clause to say that Santa told her he had a fantastic time with the children from Brierley Hill Primary School this morning at the Breakfast with Santa event. Santa was very complementary about how well behaved and polite the children were and that it was lovely to see so many big smiles and festive jumpers and outfits. It's always nice when we get to hear how well behaved the children are. Carrying on in the same vien, it was nice to receive a letter from the Deputy Mayor of Dudley the other week who was singing the praises of year 5 following their visit to Dudley Library to see the unveiling of a picture of a local Workd War 1 hero. The deputy Mayor complements the children on how smart they all looked and how well behaved they were. He said the children were very respectful and interested in the story around the painting. With Christmas fast approaching I'm looking forward to watching the many plays and carol services that have been planned and I hope to see as many of the other governors and parents there as possible. A lovely walk around our school today. It was nice to look in and see all the children on task and sitting quietly or with their hands up. Any children walking between classes were very polite and all had big smiles. As always some great art pieces on display as you walk round. Next on the agenda was a visit to Year 1 where I had a fab time as the children were enthusiastically creating Pet Care Posters. There were lots of lovely colourful pictures of cats, dogs, butterflies, spiders, bats and the occasional Giraffe. The children were proudly showing me their posters with some fab drawings and fab handwriting. During the visit the children were very well behaved and were excellent during tidying up time. It was also nice to see so many Strong gorillas sitting on the carpet at the end of the task. Lovely to see some new additions in the staff room including the staff shout out board, where staff can recognise the work of others and the Shelf of Suprises where little gifts are presented to various members of staff in recognition of good work. A great way of valuing the hard work that staff put in. A quick reminder to other governors, this Friday is Committee meetings. Please do your best to be there. A quick visit into school today for the Praise Assembly. It was lovely to see all the children practicing their strong Gorilla sitting and penguin standing during the assembly. As always it was fab to see so many of the children being awarded various certificates for good work and behaviour as well as hearing about children's achievements. Just a quick reminder to all school governor's, our next Full Governors Board Meeting is next week on Tuesday 4th October at 18:00 hours here at the school. I look forward to seeing all of you there. A very informative and interesting morning attending one of this weeks inset days where a visiting speaker taught us lots about Kinetic Letters. A big thank you to Margaret Williamson, who taught us how to be gorillas, mere cats, penguins and lizards and also taught us how to hold our pens and pencils properly. I am hoping to see a big improvement in our children's handwriting as a result of this. It was great to see such enthusiasm in the staff and how with a few little core strength exercised how much difference this can make to the way children sit and write. Nice afternoon up at school, I had a walk around to see all the building work which was undertaken during the Summer holidays by Mr Neil Yardley, Mr Matt Gunn and Mrs Allport. The new Year 2 and Reception classes look fantastic. A new canopy has been installed over in the early years play area. The Intervention room is well on its way to be finished with just some painting to be done. Thanks to all who have helped with the building work and painting and decorating afterwards. It was nice to sit in on the Praise assembly together with some of the parents to see lots of children get various awards for their work and behaviour. Robin Hood, Robin Hood, riding through the glen! Now I know a lot of you reading this will be far to young to remember the original Robin Hood series on TV. Together with Year 6, I had a brilliant time on our residential course in Sherwood Forest. Firstly we visited Nottingham Castle. Year 6 must have looked a fearsome group as the Sheriff didn't show his face once. On the second day we went into Sherwood Forest where we me the main man, Robin Hood. As we journeyed through the forest we bumped into Friar Tuck and Little John. Robin and his Merry Men told us many tales of their adventures and lots of things about the trees, plants and animals that live in the forests. we finished the morning off at the Major Oak. The afternoon was spent making dens from dead branches, twigs and ferns. It was a difficult decision to select a winner from the three teams, but team 2 won. As Robin Hood is part of the Year 6 literacy programme, I look forward to reading some exceptionally good stories in their English books. All of the children enjoyed themselves and as always it was a pleasure to get lots of very positive feed back on the good behaviour of the children (and the teachers) from both the staff at the Youth Hostel and from Robin Hood and his merry men. I hope everyone has had a lovely summer holiday and all are looking forward to retuning to school tomorrow. Good luck to all staff today who are back in for an inset day today, hope your batteries are fully recharged. I look forward to welcoming three new members of staff. We are looking at building on the success of last year, the Good Judgement from OFSTED and the fantastic SAT results. I'm looking forward to seeing more Govenors in school to provide a visible presence to the children, staff and parents. 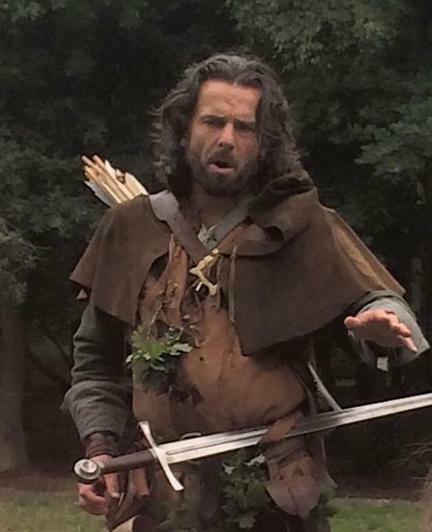 I'm also looking forward to going with Year 6 on their residential course to Sherwood Forest and meeting Robin Hood and his Merry Men and women. Having been last year I can guarantee that the children will have a fantastic time. Good luck to Natasha Thompson on her new career as Cabin Crew with Virgin Airways. Good luck to Linsey Taylor and Liz Garner who have both moved on to new schools. I wish them every success. I wish all of last years Year 6 pupils the very best for starting secondary school. Well another school year has come and gone and we can now look back on what has been a fantastic year for the school, it's children and staff. OFSTED came and visited and judge the school to be a good school. We continued to build on the success of last years SATs results where we finished 4 th in the Schools table, this year saw a new SATs examination with harder papers and a new age expected criteria rather than levels. Brierley Hills pupils scored 88%, well above the national average being 53%. One of our year 6 students achieved 100% in each of the maths papers. Well done Stephen. The school have had lots of success in various local and national writing competitions and there have been lots of positive stories about the school in the local media. We have had no end of praise about how well behaved the children have been when out on visits and how smart they look in their new style uniforms. I was very fortunate to be invited to the year 6 Leavers Service at Albion Street Church. I along with other governors Julie Bate and Roy Sanders watched as the year 6 celebrated their journey through Brierley Hill school. Various awards were presented to the children as proud parents smiled and shed a few tears in pride. Roy Sanders presented each of the children with a dictionary kindly provide by Kinver Rotary Club along with a autograph book and USB pen stick from the school. Roy also presented a national writing award to Visham, who came first in both the district and regional competitions and 2nd overall in the national competition. Well done Visham! A budding author to watch out for. Thursday morning, the last day of school saw the now annual year 6 water fight in the playground, much fun was had by all who took part including myself. Sadly we are losing three members of staff this year who are moving on to new challenges. I would like to wish Mrs. Taylor. Miss Gardiner and Miss Thompson the very best for the future. Thank you for all your hard word and effort, you will all be sadly missed by your family here at Brierley Hill Primary School. Just a reminder that there are a number of vacancies on the governing body. If anyone is interested please contact me and I will be happy to have a chat with you about what being a governor involves. There a currently 2 parent governor vacancies, so please have a think over the holidays and if you have the skills we are looking for and are interested contact me. Finally just to say I hope everyone has a fantastic holiday, remember to stay safe and I will see you all in September. 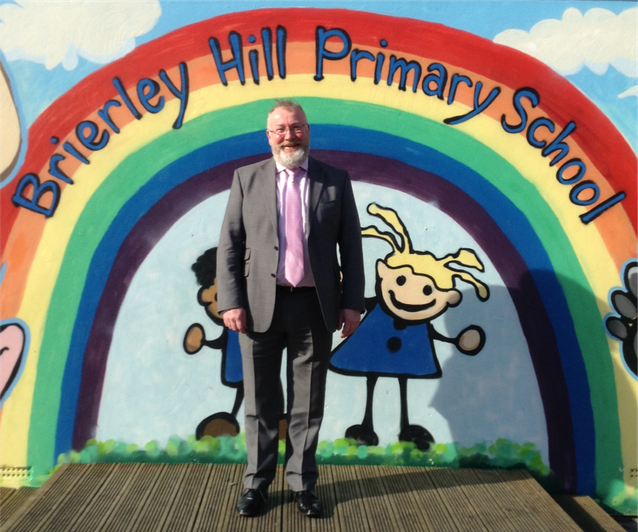 Firstly I would like to congratulate everyone connected with Brierley Hill School for all their hard word, dedication, professionalism and tireless effort that has contributed towards the school being judged as Good by the recent OFSTED inspection. The school has come a long way since the RI judgement we received in 2014. It is a reflection of everyone's efforts but I especially want to highlight the work of the Schools Head teacher Mrs. Allport and the Senior Leadership team. I would urge all parents to read the Final OFSTED report which will be published in the next few day. The report is extremely positive and encouraging and in several areas we just fell short of an outstanding judgement. All I can say is that I am very proud to be part of this school. The good news does not stop with OFSTED. This year has again seen more fantastic SATS results, the school achieved 88% well above the national average of 53%. Well done to all year 2 and year 6 pupils. You should all rightly be very proud of yourselves. Once again lots of positive feedback about our children and how they conduct themselves when they are out of school on trips. I hope everyone enjoyed the re eat trips to Telford Park and the seaside. Once again you have been great ambassadors for our school. Due to the timing of the OFSTED inspection the Full Governing Body has been rescheduled for 18:00 hours on Monday 18th July 2016. Any parents who wish to raise any issues can they do so before this date with Mr. Paul Skidmore the parent governor. With the end of the summer term now in sight I look forward to seeing lots of you at the school performances and other end of year events. As I'm sure you are all aware we are currently being Inspected by OFSTED. I would like to thank all parents who took time to speak to the Inspectors yesterday morning and spoke so positively about the school and it's teaching. Also a big thank you to all the pupils who spoke to the Inspection team and told them how proud they were of their school and how much they enjoy school. The children's behaviour during the inspection to date as been exceptional as always. Although this is a very stressful time for all involved especially the teaching staff and Governoring Body, I am looking forward to the 2nd day of the inspection and being able to tell the inspection team how fantastic the school is, how brilliant the children are and how inspirational the teaching and support staff are. It was also lovely to get lots of positive feedback from members of public and staff from the Odeon Cinema at Merry Hill where Year 2 went to see Jungle Book. High praise was given for their behaviour and how smart they all looked in their uniforms. The next full Govenors Board meeting is scheduled for next Tuesday 21 June 2016 at 6pm. If any parents have any issues that they wish to be brought to the attention of the governors can they do so through Mr. Paul Skidmore. There are still 2 places available on the governing body if any parents are interested and have the relevant skills. A big thank you our governor Roy Sanders and to Kinver Rotary Club who facilitated the year 6 trip to Drayton Manor Park on 8th June as part of their Kids Day Out programme. Congratulations to all of the winners of the writing competition which was also sponsored by Kinver Rotary Club. More big thanks to our governor Julie Bate and Sainsburys Ambelcote for providing bread and scones to help celebrate the Queens 90th Birthday on Friday 10th June. The event was a great success and was enjoyed by everyone who attended. Some fantastic feedback from the staff of Drayton Manor Park and Cadbury World who commented how well behaved our children were on their visits and how smart they looked in their uniforms. As always the children are fab ambassadors for the school. The school continues with its site improvement with lots of work going on in Early Years to improve the learning environment and create extra space for our increasing numbers in nursery and times for twos. A polite reminder to parents. A small number of parents are still parking in the staff carpark. Parents are not allowed to use the staff carpark before or after school to drop/ collect children. The carpark is used as access to the school by delivery vehicles, often large lorries, as well as school minibuses taking children to and from events and visits. This causes a number safety issues to the children and others on foot. Letters will be sent out to parents/guardians who continue to ignore this. If this situation continues the school will Be forced to have a barrier installed, which will have a financial implication, money that we would rather spend on the children. Your assistance in this matter is greatly appreciated. I hope you all remembered that today was an inset day. I'm sure the teaching staff and children are all looking forward to a well deserved break after what has been a long and stressful term. I'd just like to wish you all a safe and happy half term and look forward to seeing you all next week. Well done to all those who sat SATs last week. With all the coverage in the press about leaks, difficulty of tests and children becoming upset after reading exam papers you all did yourself proud by getting on with the task in hand and approached the exams in a very grown up fashion. I hope the results reflect the hard work and effort that you and your teachers have put in. I hope year 6 enjoyed their trip to the cinema to see Goosebumps as a post SAT treat. Regardless of the results it is fantastic to see the young men and woman that you have become over your school life here at Brierley Hill. You have grown into confident young people who evidence respect and tolerance of others. You have always been great ambassadors for the school and it is always uplifting to hear the feedback from places and events you've attended. Keep up the fab work. I hope that lots of parents and children will be taking part in the Walk to School campaign that is taking place this week. As a school we are very keen to promote healthy living. This is a great way to develop fitness and wellbeing. It's another week and another opportunity to improve school attendance. It would be fab if we could have lots of 100% attendance. I'm sure lots of parents will have been following the news in respect of the current court case around taking children out of school during term time. As far as the school is concerned we will not support children missing school. The Local Authority can still take legal action against parents, it will be down to the magistrates to decide on a case by case decision. We are awaiting advice from the Local Authority. Good luck Year 6, all the Govenors are rooting for you. Just do your best. I would like to wish good luck to all our Year 2 and Year 6 pupils who will be sitting their SATS next week. For parents there are lots of useful websites available on how to take the stress out of SATS week for your children. Everyone has been working very hard and this is your opportunity to showcase what you are capable off. All you can do is your best and try not to worry to much about the exams. Whatever the results we here at the school know how brilliant you are and we are all very proud of everything that you have achieved to date. be an area of concern. Reception parents can you make every effort to get your children in to school. If children aren't in school they are not learning. Your assistance with this is greatly appreciated. Once again it was nice to see another positive story about our school in the local press and on local radio. This was a great example of pupil power in introducing the daily mile run. Good to see staff getting involved too. Initially just year 6 but year 5 couldn't resist getting involved. I hope everyone enjoyed St. George's day and celebrations to mark the Queens 90th Birthday earlier this week. Congratulations to all children who received awards at this weeks praise assembly. Whilst there have been some great results around attendance with several years attaining 100%, this is still an area we need to work on especially in reception. Can I ask all parents to make an extra effort to get your children into school. I'm sure lots of you will have seen news items around the Government looking to make all schools academies by 2022. If you feel strongly about this issue I would advise you to get in touch with your local MP so they know how you feel. The white paper on this is due to come before parliament in the next few months. A BIG thank you to the ladies from Sainsburys Ambelcote who had the unenviable task of judging the Easter Bonnet Parade. The standard this year was very high. Lots of imagination and creativity went into all of the bonnets. A couple of my favourites were the Darth Vader and Lego Brick bonnets. Well done to all of the winners. If the judging of the Easter bonnets wasn't difficult enough the Easter egg competition was by far an even harder task. I was amazed by the high standard of all entries. All of them were fantastic but the best one was the Egyptian Pyramid. Again congratulations to all of the winners and many thanks to Sainburys Amblecote for providing the prizes. I would like to take this opportunity to wish everyone a very happy and peaceful Easter and look forward to seeing you all after the Easter Holidays. Well Sring has Sprung but it looks like someone forgot to tell the weather. The new toilet area in Early Years has now been completed and the new facilities look great, a million times better than the old ones. I would like to thank everyone for their cooperation during the disruption this caused. Whilst at the school on Friday for various School committee meetings it was lovely to see a stream of children into Mrs Allports office during lunch time desperate to become Maths Wizards and demonstrate their times table knowledge. It was great to see two year one pupils, who aren't in the scheme, trying there best too. Nice to see some great attendance figures again this week and since the start of the school year in September. I appreciate that there have been a lot of bugs going around this last few weeks so well done everyone. 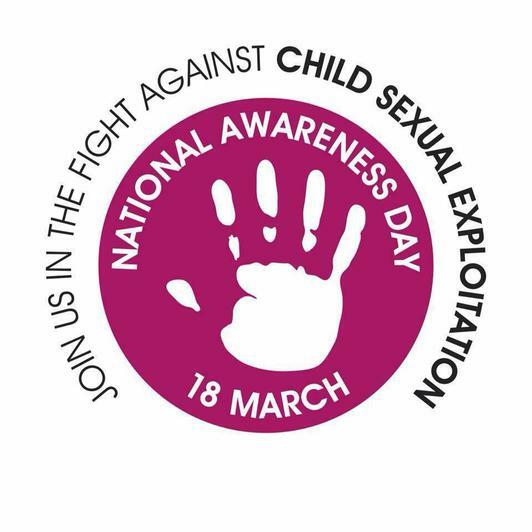 Last Thursday, 18th March was National Child Sexual Explotation Awareness day. Please make sure you all keep vigilant as sadly this is an issue we all need to be aware off. Please don't be afraid of raising issues and speak up for those who might not be able too. Good luck to everyone taking part in the Easter Bonnet competition this week. There were some very high standards set last year so I expect to see some fab creations this year. A big well done to all the children who have been put forward for Tea with the Head Teacher today. I hope you all enjoy your treat. Best behaviour as always please and that goes for the children too. Finally I would just like to wish everyone at and involved in the school a very happy and peaceful Easter. Try not to overdo the chocolate eggs and hot cross buns. A big thank you to the head teachers from Wythymoor Primary School and Peters Hill Primary school, Gill and Simon who came to see us today as part of the Stour Valley Group school support triad visits. A very positive and useful exercise in reviewing our School Improvement Plan and the schools Self Evaluation Form. It's was good to have a peer review to validate all the hard work that has been done at the school since are last OFSTED inspection. A very useful session spent interrogating the raiseonline and Dashboard documents which show very encouraging data as to the schools performance. Lots of good achievements to celebrate. Gill and Simon were very complementary of the school site following the learning walk. Once again the children were all very well behaved as we showed our guests around. Many thanks to Mr. Yardley and Mr. Gunn for keeping the site safe, neat and tidy and their hard work in clearing the banked area adjacent The Promenade and erecting the new fencing outside the main reception. Can an I just remind parents that the schools Facebook Page should not be viewed as a way to contact the school 24/7. Whilst social media is an excellent way of communicating and in keep parents informed of what is happening at school, it should be remembered that the Senior Leadership Team are entitled to a home life. Please do not expect an immediate response. Any posts submitted to the page after 18:00 hours will be addressed the following school day. It is unfair to expect Mrs. Allport to reply to posts during evenings or weekends. Many issues can be resolved by viewing the schools web site where you will find lots of information about policy and procedure. Your assistance in this matter is appreciated. Lots of positive feedback from one of our newer governors Mr. Roy Sanders who spent the day with year 2. Looking forward to hearing his full report to the governing body at the next full GB meeting. Work on the new Key Stage 1 toilets is well underway and should be completed before the Easter break. I hope reception enjoy pirate day tomorrow, looking forward to seeing lots of pirate themed photos. Why are pirates called pirates? Because they aaaaaaargh! Wishing all mums at the school a very happy Mothering Sunday. I hope you have all had a lovely day with your families with lots of fun and laughter and memories to look back on. I know many of the children have been busy making cards and presents for today, the school may have provided the materials but the children provided the love that made them very special. Just a quick reminder to all parents, Brierley Hill Primary School adheres to the Local Authorities policy re holidays during term times. As a school we will not authorise any holiday leave during term time. Whist we can't stop parents from taking their children out of school, any such absences will be treated and recorded as unauthorised and where applicable the Local Authority will be notified and may take legal action which may result in a fine. A very positive Senior Leadership Team meeting yesterday afternoon. Discussed the recent Arbor OFSTED Readiness Report, together with our in house Assessment Data and Raiseonline Data. Whilst our in house data collection is new and still work in progress, it is showing some fab results for Key Stage 2 and progress in foundation and Early Years is looking great. Well done to all the staff who have worked very hard to get us to where we are and building on this success. Nice to see governors being more visible around the school. A quick reminder that the next School Committee meetings are scheduled for Friday 18th March 2016. I look forward to seeing you all at sometime during the day. An interesting inset day spent with some of the staff on a Breaking Through Barriers to Boys Achievments day presented by Gary Wilson at Wombourne Civic Centre. Lots of food for thought and signposted to lots of useful websites to help teachers, parents and the children themselves. We will be posting the most appropriate sites on our web page. A big thank you to all who turned up for Parents Evening tonight. It was lovely to hear lots of positive remarks about the school from parents and pupils. This view was further supported by the Parents survey. Early results are that over 130 forms were returned showing that over 99% of parents are very satisfied/ satisfied with how the school is managed overall. Thanks to all who completed the survey, this is a great help to us. The final results of the parents survey will be shared on the website and Facebook page. As always it was rewarding to see lots of proud parents walking out with big smiles having been told by teachers how well their children are doing and having been able to look at their children's work and displays. Welcome back after the half term break, I hope you all had a lovely time and batteries are recharged and you're all rearing to go. Yesterday I had a lovely learning walk around the school with Mrs. Allport. I saw some lovely displays and as always the children were very well behaved and on task. I had a quick chat with year 5 who told me what a great time they had at the National Space Centre. I hope you've all noticed some of the new playground equipment that has been recently acquired to make playtime even more exciting. I loved the new hobbit house, fairy bridge and rainbow tepee. Please be aware that work has now started on the new toilets for the Early Years and foundation stage. Hopefully as little disruption as possible will be caused. I'm looking forward to seeing lots of parents at Parents Evening tomorrow. Having seen lots of books during recent book trawls and cohort reviews I can tell you there will be lots of proud parents around tomorrow. A quick reminder that FairTrade Fortnight commences on Monday 29th February 2016. I would like to congratulate all those children who received their 100 % attendance awards today. A massive well done to Phoebe in a Year 5 who has had 100 % attendance for the last 5 years. Check out our Facebook page for the full list. A big thank you to all parents who are taking notice of the importance of attendance which is much improved of late. Please keep this up. As a small school every absence has a big impact on attendance figures. I hope everyone has a fab half term, make sure that you all keep safe and see you all after the holidays on Monday 22nd February. Remember Monday 29th February is an inset day. Don't forget to get your new book bag in the new school colours, these are available from the office at a cost of £4.00. A quick reminder that the school uniform shop will be open again after the half term holidays on Tuesday morning and Thursday afternoon. A brilliant result at the RSPB Big Birdhouse tour at the Merry Hill Centre. Well done to Connor, Grace and Olivia who had their stories read out by the jackanory story teller. A big thank you to all those who helped with the pancake day activities, everyone had great fun. Another thank you to Helping hands for arranging the Valentine Disco. From looking at all the pictures it appears that year 5 had a real out of the world experiance at the National Space Centre, once again great ambassadors for the school. I look forward to seeing as many parents as possible on Wednesday 24th February at parents evening. I will be available in the reception area if anyone has any issues they want to raise or just to say hello. A big thank you to all who came to the full Govenors Board Meeting last night. Some very positive feedback from several of the community governors who have been in to visit school. I would officially like to welcome Mr. Paul Skidmore, who was appointed as a parent governor last night. There are still two parent governor positions available and I would ask all parents to give consideration to putting themselves forward if they feel they have skills to bring to the governors board. I am always available to speak to anyone who is interested. It was disappointing to hear that no parents attended an e safety presentation that had been arranged by the school. Mrs. Allport is looking at putting on another event and I would ask parents to attend. It is very important that you know how to keep your children safe when they are using social media and the Internet. There are links available on this website re e safety and I would encourage you to visit these. Can I also ask those parents/carers who drive to and from school to show consideration to other road users especially in light of the road works that are taking place around the school at the moment. We have received a number of complaints about parking. The local police and PCSO are aware and may well be on foot patrol. I hope you all got chance to see the recent news article on our school in the Express & Star, a very positive piece and some fab photos. During various visits to the school I have been very pleased with how the site is looking and a big thank you to Mr. Yardley and Mr. Gunn and the rest of the cleaning staff. There are several projects due to start in the near future, a new canopy and shelter in Early Years as well as refurbishing the Early Year toilets. Disruption will be kept to a minimum. I have also conducted several behaviour walks with Mrs. Allport and can report that the children (and staff) have been very well behaved. Children have been seated quietly and getting on with their work. Where I have spoken to children in corridors or on reception duty they have always been polite and well mannered. I am always very impressed by the children at Brierley Hill and their enthusiasm to learn and develop knowledge and skills. We are also getting lots of compliments on how smart they look in their new uniforms. Great to hear that the School Council are looking at several community projects. They have registered with a community scheme being run by Sainsburys and Year 6 are looking to start a penpal scheme with a school in India. Fab few weeks at BHPS, nice to read the local newspapers reporting on our 4th place in the SATS results for Dudley Schools. A great achievement. Well done to everyone who was involved in this fantastic result and great to see all the hard work pay off. A huge thank you to all involved. Once again Father Christmas has been a frequent visitor to Brierley Hill Primary School. On Saturday 4th December 52 of the schools children came to breakfast with Santa. A big thank you to Helping Hands who arranged the event. I hear from the big fella in the red suit that he had a great time and the children were all very well behaved and made some fantastic Christmas cards and decorations. On Monday 14th December Father Christmas was invited to the Nursary Christmas party at Zig Zags. I hear from Mrs. Clause that her husband thought the children were very well behaved and very polite. On Wednesday 16 th December, Key Stage 1 put on an excellent Christmas production. Well done to all involved it was fantastic. I also managed to pop into the Brewers Fare in Stourbridge for the "Tea with Mrs. Allport" it was lovely to see all the boys and girls who had been nominated by their teachers enjoying a lovely tea with Mrs. Allport. All the children enjoyed plenty to eat and were so polite and well behaved. Great ambassadors for the school, well done to all involved. Also during December the school has been represented at various events at Sainsbury where they sang carols as well as singing at a local home for the elderly. Once again the children were great ambassadors for the school and we have received some great feedback saying how fab our pupils are and how smart they look in their new uniforms. I would like to take a moment to say a big thank you to all pupils, staff and parents especially helping hands and those who come in to help on a daily basis for helping to create such a fantastic environment for our children to learn. Finally I would like to wish you all a very Merry Christmas and a Happy New Year and looking forward to a fantastic 2016. A very long and busy day at school today for the GB, with the Safeguarding, Finance & Resources, School Improvement And Policy Review committee meetings. A well attended, productive day. The most recent raise online data made very good reading and evidenced the hardwork that everyone involved with the school has put in over the last two years. It was great to see all the children and staff wearing spotty outfits to support Children in Need. Thanks also to Julie Bate who arrived with her friend Mog from the Sainsburys Christmas Advert. Mog is now living in Early Years Foundation Stage where Mog is proving very popular with Miss Knowles and the children. It was also nice to see earlier in the week the children collecting for the Royal British Legion Poppy Appeal and going around selling various Poppy Appeal merchandise including rulers, wrist bands and bracelets. Well done again to all involved. It is also nice to see that attendance figures on the whole are improving. Year 2 please try harder. The attendance for the whole school is 95.66%, when reception is taken out of the equation this improves to an attendance level is 96.10%, the level set by the government is 96%. Well done to all concerned especially the children and parents. Please keep this up. Many thanks to Mr. Brian Patterson, Vice Chair, who came into school last week to conduct a class visit with year 6 and give a talk about the plot to blow up the Houses of Parliament by Guy Fawkes. A rather timely input around British Values. I hope Year 6 enjoy their visit to the Black Country Living Museum today, should be bostin'. Also a big thank you to another governor, Julie Bate, who arrived with various play costumes kindly donated by Sainsburys Ambelcote together with a number of prizes for the helping hands raffle. It was nice to be at a meeting on Tuesday 10/11/15 with Mrs. Allport and two other head teachers from the Stour Valley Group. The group conduct School Support Triad Visits, a regular health checks on each other's schools progress using Raiseonline data, the schools Self Evaluation Form (SEF) and School Improvement Plans (SIP). It was very rewarding to hear lots of positive remarks about how the school is performing. Both heads were extremely complementary about Our Headteacher and commented on what a great job she has done. I must say, I wholeheartedly agreed and echo their comments. A big thank you also goes to the other members of the SLT and all the teaching and support staff who have all worked very hard to get us to this place. On 10/11/15, I was also able to take a behaviour walk with Mrs. Allport. All classes were well behaved, the children were all engaging well with teachers and TA's and being tasked appropriately. The children were polite and well mannered. It was nice to see the year 1 classroom with a number of displays promoting British Values around Bobfire Night and Halloween. Nice to see lots of requests coming in to our school for pupils to go and sing carols at Victoria Lodge and various Supermarkets. A big thank you to Julie Bate, one of our new governors, for arranging a trip for the school council to visit the bakery section at Sainsbury's Ambelcote on Tuesday 6th October 2015. All the children got to help make cakes and breads and who knows we may see one of them on the Great British Bake Off in the future. I have heard very good reports from the staff at the store who were very complimentary of how polite and well behaved the children were. Thanks to every one involved. Today several of the school council members from years 5 and 6 travelled to London where they were visiting Westminster Palace to have a look around the Houses of Parliament. It was an early start for those attending, 5am. I'm sure all involved will have had a great time and will be able to tell classmates all about what they saw. A number of photos have already been posted on the schools Facebook page. Today (20/10/15) was the official closing date for nominations for parent governors. Three posts were available. There has only been one person who has put themselves forward and that is Mr. Paul Skidmore. As we have not had received any other nominations we will not be holding a election vote for this post. We are still looking to fill the remaining 2 parent governor posts so if you are interested please contact me via the school. We will look at including minutes of Full Governing Body meetings on this page in the future. Brierley Hill Primary School Needs YOU! We are currently looking for new parent and co-opted governors. If you are interested in becoming a parent or co-opted governor or if you know someone who may be interested please contact either myself or Mrs. Allport. I am more than happy to show prospective governors around the school and talk to them about what the role involves, the commitment and expectations and how we will support you through training and mentoring to become an effective governor. Having been a governor know for almost 4 years I can tell you that the feeling of satisfaction you get from helping out is second to none. So if you feel that you have relevant experience or skills that you can bring to develop our governing body then please get in touch. 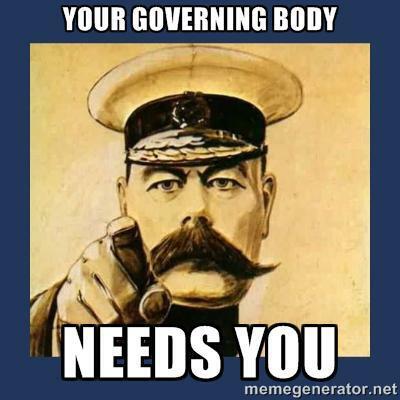 Just a reminder to all governors that the next full Governing Body meeting is next week on Tuesday 6th October 2015, starting at 18:00 hours. Dudley LA have recently set up a dedicated Child Sexual Exploitation team. This is a multi agency team including the Police, Social Services and various Health agencies. The team will investigate any allegations of sexual exploitation of children. Sadly this is a problem that does effect the people living in the LA area. Here at Brierley Hill Primary School we fully support this initiative and will be looking to deliver inputs to children and parents to raise awareness of the issue and provide appropriate information so signs of sexual exploitation can be recognised. Firstly I would like to welcome everyone to a new academic year here at Brierley Hill Primary School where we are looking to build on the hard work and resulting success of last year and the excellent SAT results and pupil progress. Together with the SLT and staff, the Governoring Body will be looking at improving on our 4th place SAT result. Im sure you will all agree that the school is looking fantastic after its summer makeover. I would like to thank all those who worked tirelessly to get the school ready in the new school colours for the start of the Autumn term especially Mr. Neil Yardley, Matt and Mrs. Allport. Well it's been a great start to the year. I was very excited to be asked to help out on the Year 6 residential course with a visit to Sherwood Forest and the Robin Hood experience. Everyone really enjoyed the time with lots of trail walking around Sherwood Forest and the Main Oak. On Friday the children were captivated by the magic of Robin Hood and his Outlaws who brought the medieval world alive. The children were totally entranced by Maid Marion, Lady Alana Dale, Frier Tuck and Little John. The children were very well behaved and excellent ambassadors for the school and parents. Robin Hood and his Outlaws were very complementary on the children's behaviour and enthusiasm to engage and ask questions. I'm looking forward to see some very imaginative writing during book trawls and cohort reviews from year 6 in particular. Monday 7th September 15 and it was back to business with the first SLT meeting. It was lovely to see Miss Knowles back and looking well on the way to a full recovery following her accident last year. It was also great to see all the children looking so smart in the new school uniforms. Well its been a busy March so far. The 5th March 2015 was World Book Day, I had a lovely time reading several chapters of David Walliams book, The Boy in a Dress to Year 6. A big thank you to fellow governor Mr Brian Patterson who also came in on World Book Day to read to year 5. On Wednesday 11th March I had the pleasure of showing off our school to a prospective Community Governor. Following an informal chat I took Mr Roy Sanders on a walk around the school, including sitting in on a Year 2 lesson. A Big Thank you to Miss Bridgewood and Year 2 pupils who were fantastic ambassadors for the school. Mr Sanders was very impressed with the behaviour of all of the children we met whilst on the walkabout and commented on how lovely the classes were and the facilities provided for the pupils. I am looking forward to Mr Sanders joining our Governing Body (GB) together with a second new Governor Mrs Julie Bates at the next Full GB meeting on 23 June 2015 when both will be proposed. As well as taking part in SLT meetings held on Monday 2nd and Monday 9th March, I have also been at the school for the Head Teachers Appraisal, and LA support visit with the Maths leaders on 11th March and the Cohort Review held today Friday 13th March. On Monday 9th March 2015 we launched our new Web Site and I would recommend as many of you visit this site which has lots of information and interactive games for pupils to help assist in their learning experience. I would also as parents to visit our new Facebook Page to see what is happening at school on a daily basis. On the evening of Tuesday 10th March myself, fellow governors, Mr Brian Patterson and Mrs Amerjot Birdie together with Headteacher Mrs Allport attended a 2 hour British Values in School presentation at the Saltwells EDU. As I write BHPS is a sea of red today with many of the children and staff celebrating Red Nose Day by wearing items of red clothing. Finally I look forward to seeing as many parents as possible next week on Wednesday 18th March for Parents Evening so we can celebrate the successes of your children. I will be available in the reception area if any you have any issues that you would like to raise with me. A great evening at the school. It was lovely to see so many parents and children attending Parents Evening tonight. It was a joy to see the smiles on the proud parents faces when they left having been told how well their children were doing and the progress that they have made during the school year. Children proudly showed off their work and classroom displays. Many also made a point of showing off the new lockers that have been fitted around the school for coats and bags. I would like to thank all of the parents who took time to fill in the questionnaire seeking your views on how we are doing. At last count over 120 had been completed representing 75% of the pupils who attend BHPS. Mrs Allport and myself will be looking at all of the questionnaires and will present the results in the next couple of weeks on the schools website and Facebook page. Well its been another busy day at BHPS. Reception were celebrating Pirate Day and together with the rest of the school I was out in the playground watching the solar eclipse this morning using pin hole cameras. After the solar eclipse it was back to work and a very productive morning helping the SLT updating the schools Self Evaluation Document. Toady Quality of Teaching, Behaviour and Leadership and Management were under the microscope. Having a quick wander around the school, the new lockers have certainly made the corridors a tidier and safer place. The lockers colour scheme of Grey and Purple will complement the new school uniforms as voted for by the pupils following a motion passed by the schools council to review uniforms. Lunch time saw several members of the School council preparing bags of sweets ahead of the weekly Film Night. Tonight, The Lego Movie is the main presentation. All of this is part of the School Councils project with Thorns Community College to turn £10 into a much money as possible. Many thanks to Julie Bate at Sainsbury's Ambelcote for donating a quantity of Red Nose day merchandise to the School Council who will be looking to sell items after school with proceeds going to project. Following Parents Evening a total of 129 Your View questionnaires were returned. Again many thanks to parents who took the time to complete these. Your views are very important to us. Well another full day at BHPS. The day got of to an eggciting start with the Easter Bonnet parade. It was obvious that a lot of hard work and imagination went into designing the bonnets. Congratulations to all of the winners, Martin and Michelle, the judges from Asda Merry Hill had a very difficult task. Also a big thank you to Helping Hands who help to arrange the event and Asda for providing prizes. Next on the agenda for the judges was judging the Egg scenes. Again a lot of hard work and effort had been put into these, from Super Heros to The Great British a Bake Off. Again a difficult job for the judges. Congratulations to all of the winners. Check out the Brierley Hill Facebook page for all the results. The day finished with Praise Assembly. Many thanks to Julie Bates from Sainsburys Amblecote who came to the Assembly to present Easter Egg prizes to the winners of the colouring competion. Mrs Allport then presented all of the children who had achieved 100 % attendance, with prizes going to two classes, one for 100% attendance and one for achieving over 96% attendance. Star of the week certificates were presented and again congratulations to all who received certificates and prizes. Finally just to wish everyone a happy and peaceful Easter break and see you all on April 13. Welcome back, I hope everyone had a lovely Easter break and have come back school ready to learn. Fingers crossed that this term, we will see work start on the middle playground, following a successful application to Sports England under the Primary Spaces. The grant will be used to install a multi games/sport area. As well as improving the facilities at our school, we hope that it will encourage pupils to engage more in physical activities and improve pupil wellbeing. I am looking forward to taking part in the Chair of Governors' Leadership Development Programme over the next few months. The initial meeting takes place on Thursday 16th April 2015. High expectations of gaining lots of valuable tips. 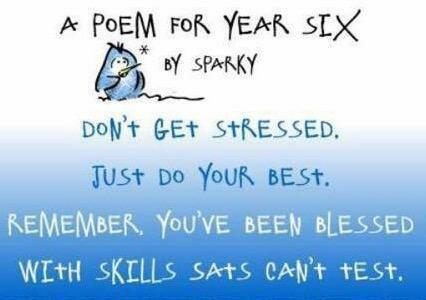 With SATS fast approaching, just a few words of encouragement for Year 6. All we expect is for you to do your best, we are all very proud of all that you have achieved to date. Try not to get too stressed, you've done all of the hard work, now is the time to reap your rewards Good luck to one and all. During todays visit to school I undertook a behaviour walk about with the Headteacher, Mrs. Allport. It was a real pleasure to see that all pupils in classrooms were seated and engaged in tasks. The school was an oasis of tranquillity. One cohort was out in the playground for PE. Again all of the pupils were well behaved and were listening to the teachers. During the walkabout I observed several pupils engaged in one to one activities with TA's and Parents/Helping hands. Once again all of the pupils were well behaved and engaged in activities. We met one pupil in the corridor who was on their way to a reading session with a parent. This child was walking and answered politely when spoken to. I also observed one of the cohorts in the IT suite. All of the pupils were seated and engaged in tasks. Once again the pupils were a credit to themselves, their parents and the school and the behaviour was exemplary. I must also comment on some of the fantastic classroom displays I saw as I walked round the whole of the school. It is obvious that all of the teaching staff have gone the extra mile in making the school a great place for children to come and learn whilst having fun. It was encouraging to see that on viewing the schools new website, that the number of visitors continues to increase on a daily basis. Staff are working hard to keep the website as up to date as possible. To this end it was nice to see that a new document re British Values has been added to the site. Other good news is we anticipate that work will soon start on the installation of the Multi Use Games Area (MUGA), the result of a £30,000 grant from Sport England. Contractors are now in the process of tendering for work to install the 18m x 10m MUGA in the middle playground. Once agreed the MUGA should be installed in a week and will provide additional sports activities for pupils and those attending breakfast club and Afterschool Club too. 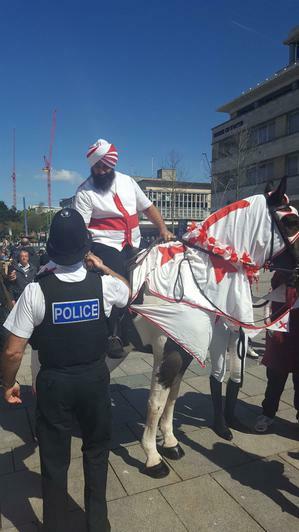 What a great way to celebrate St. George's Day. A lovely afternoon spent with Year 2 today. First part was writing up all about the class trip to the Saltwells Nature Reserve where they saw a one armed wooden wizard, the tardis, two of the three wise monkeys and the Pensnett Railway used by the steal workers. Lots of stickers for some fabulous writing, good ideas and good listening. Then I got to read to the class all about St. George the patron saint of England as it was St. George's Day. I read all about St. George slaying the dragon and saving the towns people before reading all about the real St. George. St. George is believed to have been a soldier in the Roman Army, originally from Turkey, he was put to death by the Roman emperor because he would not renounce his Christian beliefs. I was really impressed how much the class knew about the true story of St. George when we discussed it before I read to them. The afternoon was finished off with a memory game about what it is to be British. Great way to learn about British values. A big thank you to all the children who were very well behaved throughout the afternoon. Busy week at school as I managed to pop in for a couple of hours each day except Wednesday. A fabulous Assembly on Monday all about democracy and the up coming General Elections. I was very impressed with years 5 and 6 who evidenced a good knowledge of the political parties and the voting process. Great to see the school having their own Fruit Flavour elections where each House Captain is campaigning for one of 4 Fruits: Apple, Banana, Blueberry and Strawberry. The whole school will then vote and the fruit with the most votes will be used to make smoothies for the whole school. So, lets hope that we hear the core values of the Apple party. That the Banana party don't slip up at the polls. That the blueberries are left feeling blue and the Strawberries do better than in the straw-polls. A quick reminder to all parents who's children have musical instruments and lessons. Can you please ensure that your children bring their instruments to school on the day they have music lesson. Brierley Hill School is the only school in the borough who actually pay for the instrument lesson out of school funds. In other schools it is the parents who have to fund the lessons. We still have to pay even if the pupil doesn't attend. Once again I can report that during a behaviour walk around the school all children were well behaved. All were on task, seated and following instructions given by their teaching staff. A quick update on the Sports England Primary Space grant. We have know received authority from the Local Education Authority for the installation of the MUGA to take place. Several companies have visited the school and are in the process of submitting bids to win the contract and we hope that the facility will be in place before the Summer holidays. Finally I hope everyone has a lovely May Day on Monday 4th May and as they say on Starwars May the 4th be with you. 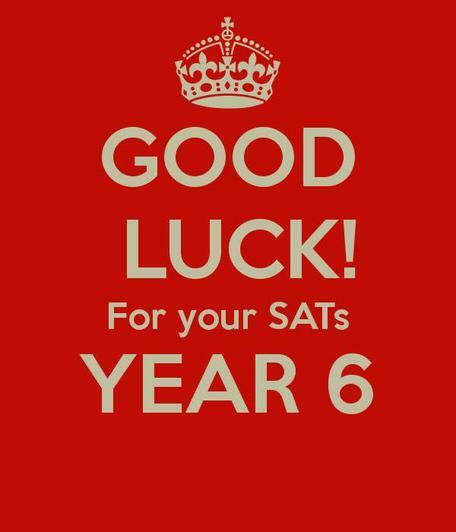 I would like to wish all pupils in Year 6 the very best of luck with your SATs. We are all extremely proud of all that you have achieved during your time here at Brierley Hill Primary School. All we ask is that you try not to get to anxious and do your best, we're all rooting for you. I would also like to wish Miss Lee-Anne Knowles a full and speedy recovery following her recent accident. Get well soon Lee-Anne. Lovely time at Magnificent Monday assembly today. Once again the pupils showed a great deal of knowledge around current affairs around the recent General Election and British Values. On Thursday the whole school went to the polls to vote for their favourite fruit flavour smootie. Following the count, there was no clear winner although Strawberries won the highest number of votes with 73 votes, Banana Party was 2nd with 32 votes, Blueberry Party 3rd with 26 votes and the Apple Party in 4th place with 19 votes. As no one fruit flavour had an overall majority it was decided that the Strawberry Party would form a coalition smoothie with one of the other parties. Following impassioned speeches by leaders of each of the other fruit parties, the Strawberry Party decided to join forces with the Blueberries to form a Summer berry coalition smoothie. A big thank you to Julie Bate and Ambelcote Sainsbury's for supplying the fruit to make the smoothies later this week. Well this afternoon I was invited to deliver a Prevent presentation to the School staff. Thanks to all who attended and I hope you all found it useful. Prevent is on of the four work streams together with Persue, Prepare and Protect which together form Operation Contest, the UK's Counter Terrorism Strategy. Prevent is about stopping people becoming involved in terrorism or supporting terrorism. As schools we have a part to play in this. Operation Channel is a vehicle for education as well as other agencies to refer individuals who may be vulnerable to radicalisation. Its been a very busy week here at the school. Mondays assembly was all about the Magna Carta and how this document has impacted on democracy, personal freedoms and the rule of law not just here in England but around the world. Tuesday evening was a Full Governing Body meeting. I would like to welcome Mr Roy Sanders and Mrs Julie Bates who have been co-opted onto the governing body as community governors. I look forward to working with both Julie and Roy and harnessing their skills and experience to help develop both the school and the governing body. We will also be saying goodbye to one of our longest serving parent governors. It was with much regret that today 26/06/15 I accepted a letter of resignation from Mr Gordon ELCOCK, who has had a long relationship with the school as a pupil, parent and parent governor. It has been a great pleasure working with Gordon over the years and his support and enthusiasm has been very welcome. Today has also been a day of school committee meetings with Finance, Safegaurding, School Improvement Committee and Policy Development committees all taking place. I would also like to pass condolences on to the family of Elaine HACKETT who sadly passed away following a long fight with caner. Elaine was the kitchen manager at the school for over 20 years before leaving due to illness. Our thoughts are with all of those who knew her may she rest in peace. A huge congratulations to all involved in the Key Stage 2 production of Aladin Trouble. What a fantastic show! A very slick and professional performance by all involved from the scenery, props, singing and dancing to the individual performances. Year 6 pupils stole the show and filled the stage with energy and smiles. All parents should be very proud of their children. It was magical to see how these children have developed into confident, mature young people. Money couldn't buy the looks of joy on the faces of the performers and parents alike when the final curtain was called and the children took their well deserved applause which was deafening. Good luck to all year 6 who will find out the results of their SATS I'm sure you will have excelled and exceeded expectations. Regardless we are all very proud of all you have achieved and the young people you have turned into. Congratulations to everyone who participated in Sports Day today and well done to all those who won events. Fab week at school this week. Firstly a brilliant performance of the panto Aladin Trouble by Key Stage 2.....Oh yes it was! The SATS result for year 6 were fantastic. A big congratulations to all the pupils and teaching staff. Level 5's were the norm rather than the exception and I'm pleased to say that there were even a few Level 6's as well. The levels of progress that have been made throughout the school are outstanding. All of this has been achieved through the hard work and dedication of the teachinging staff. Myself and Julie Bate, one of our new governors, were at school yesterday for parents evening and we would like to thank all of those who attended. I'm also pleased to say the the Multi Use Games Area (MUGA) is well on the way to being completed, installation should be completed by early next week. It will be a great facility for the children. Many thanks to SportsEngland who provided the £30,000 grant to make it all happen. Hard to believe that it's transition week already, I hope all the children enjoy starting their new classes and getting to know their new teachers, TA's and learning environment ready for the start of school on 2nd September 2015 and don't forget your new uniforms. A very emotional evening at St. Michaels Church, where the Class of 2015 held their Levers Service. With awards voted for by class mates, PowerPoint presentations of then and know photographs, awards and trophies presented and USB pen sticks for all levers. Not many dry eyes in the house. From all the governors here at Brierley Hill Primary School we are extremely proud of what you have achieved and the young people you have become and it just remains for us to wish you all the best for the future as you start a new chapter in your education and in life. You have made us laugh and smile as we have watched you develop and mature into thoughtful, confident individuals. Once again congratulations on your SAT results, 4th place in Dudley LEA is fantastic. A big thank you to Mrs. Johnson and Miss Day, who brought out the best in you. Good luck to Miss Day on her new job at Gigmill Primary, you will be missed. I hope you all have a very safe and enjoyable summer holiday and look forward to seeing you all back at school on the 2nd September 2015.